PAVE Ambassador Steve Connell wrote and performed a powerful new poem that we hope you watch and share. PAVE partnered with Go West Creative, Spoken Cinema™, UN Women and MEND™ for the launch of poet Steve Connell’s new spoken word piece about the importance of engaging men to be a part of the solution in ending sexual and domestic violence. Celebrities, musicians, poets and artists came together to lend their talent to shatter the silence of sexual violence at a multimedia event at the Red Bull Space in Soho produced by Rusted Blue Entertainment. Hundreds of participants enjoyed live performances, fine art silent auction, celebrity appearances including MTV’s Sarah Rice, down-home comfort food from Justin Timberlake’s restaurant Southern Hospitality, and sponsored drinks from High and Mighty Beer Co. and Berentzen. 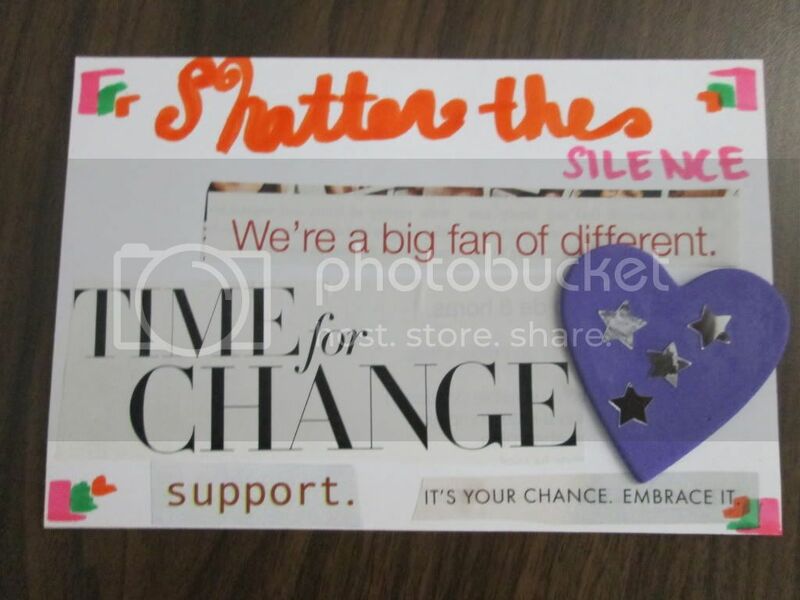 Shattering the silence postcard campaign.